After years abroad in Italy, Shadi (Saleh Bakri) returns home to Nazareth in advance of his sister’s wedding. Filmmaker Assia Boundaoui is haunted by a childhood memory of being awaken at 3am by two men working on telephone line by her window. Immediately after a Palestinian man signs an online petition, he is thrown into a panic-inducing spiral of self-doubt. Between 2010 and 2014, nearly 3,000 Palestinian children were arrested by Israeli forces for reasons like throwing stones. From Beneath the Earth amplifies voices rising from the underground to express both the personal and the political, and explores the intersections that exist at the heart of music created by Palestinian artists. Enjoy a popular selection of delicious traditional Palestinian brunch dishes at our new location - Hale Coffee. No one took a young female lawyer seriously when she walked into the office of Palestine’s Chief Justice and announced she wanted to join the bench. She looks down at her virtual ghost marked with an X. "If I were walking, I would have found it, even if it's not here anymore." Reda’s dreams of escaping Ain El-Helweh Palestinian refugee camp ended in failure after three years in Greece. He returned with a heroin addiction to life in the camp being torn apart by internal strife and the encroachment of war from Syria. Through riveting and moving personal recollections of both Palestinians and Israelis, the film reveals the shocking events of the Nakba (mass expulsion of Palestinians in 1947/8). A young boy makes plans for the ultimate trip. In 2004, the International Court of Justice (ICJ) declared that Israel’s construction of a wall within the occupied Palestinian territory is in contravention to international law and called upon Israel to desist from its construction, dismantle those parts already built, and make reparations for all damages caused. 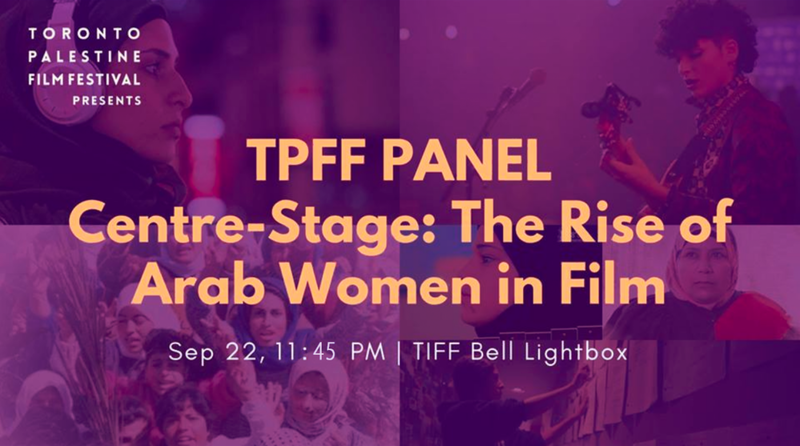 Palestinian and Arab women filmmakers have been dominating the screens at film festivals across the globe. Raised in a refugee camp in the West Bank, young Walaa and her siblings grew up without their mother who was held as a political prisoner in an Israeli jail. Documenting life inside the Yarmouk Palestinian refugee camp, the film follows the director’s journey as he is forced to join the Palestinian Liberation Army in Syria only a month before the start of the Syrian uprising. A female Palestinian Lyft driver navigates the night shift in New York City while waiting to hear life-or-death news from her family in Syria. A Palestinian inmate in an Israeli jail receives a visit from his wife - and she devises a bold and crafty operation to fulfill their secret desires. When a nation-wide uprising breaks out in the Occupied Palestinian Territory, a young woman in Gaza must make a choice between love, family, and freedom.